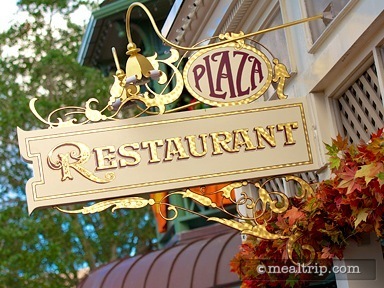 Just around the corner from the Plaza Ice Cream Parlor, The Plaza Restaurant’s main dining area features turn of the century Art Nouveau detailing, and a partial view of Cinderella’s Castle. A second, smaller “gazebo” style dining area (which is also indoors) is located on the east side of the restaurant. 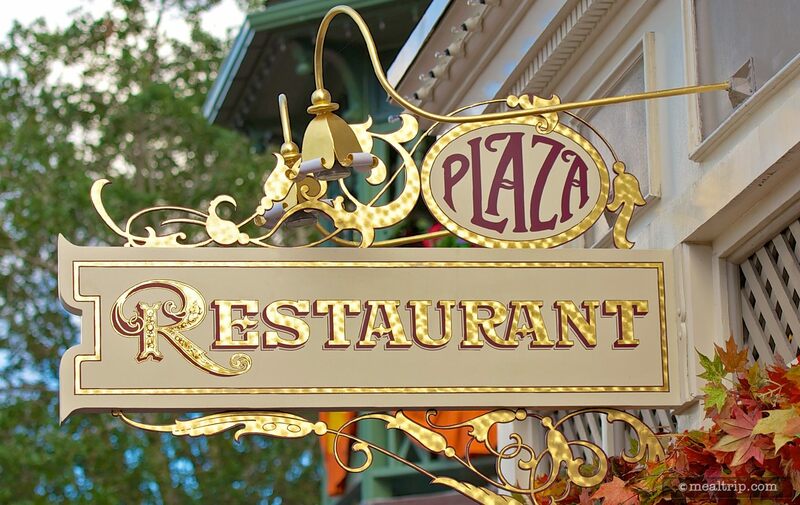 The Plaza features quite a few sandwiches, including the Plaza club and a vegetarian sandwich on freshly baked foccaccia, to hot sandwiches like the grilled chicken with shaved ham and Swiss cheese, and a Cheese Steak Sandwich. Daily soups, a meatloaf plate, and strawberry chicken salad round out the all-day menu. Ice cream sundaes, hand-dipped milkshakes and various floats are guest favorite desserts. 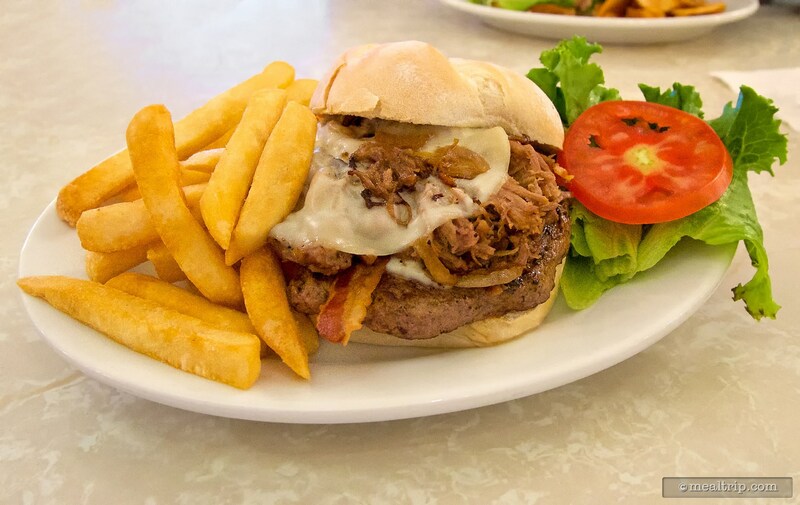 Stopped in to try the new Beef Brisket Burger, and it's a great new addition to the menu. From a foodie standpoint, I wish the cheese stood out a bit more, but that's about the only thing I'd change on this one. The service was awesome, as it usually is here, and it was a quite night, around closing... which is when I like to enjoy this turn-of-the-century gem at the end of Main Street. I was looking forward to the tuna on a light croissant not a very seedy one to taste only the bread. The park was open 24 hours and I finally had room for dessert. The strawberry sundae was the best I have ever had. Strawberries, vanilla ice cream with fresh whipped cream and crunchy walnuts. I wish I had room after eating my meal for another strawberry sundae. The table in the gazebo dining area was too close to the family sitting next to us when the child moved his chair, it hit my funny bone that wasn't funny. 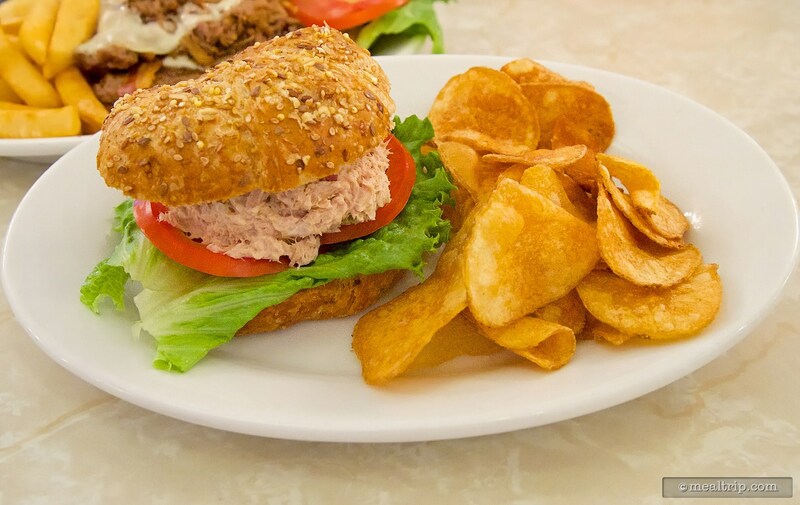 I have always enjoyed the tuna on the light and buttery croissant, this time it was on a wheat or grain croissant that changed the flavor of the sandwich. I prefer the light and buttery croissant.